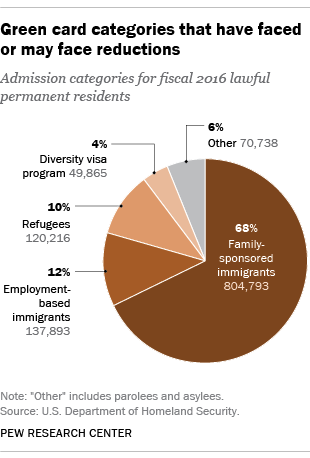 Nearly 34 million lawful immigrants live in the United States. 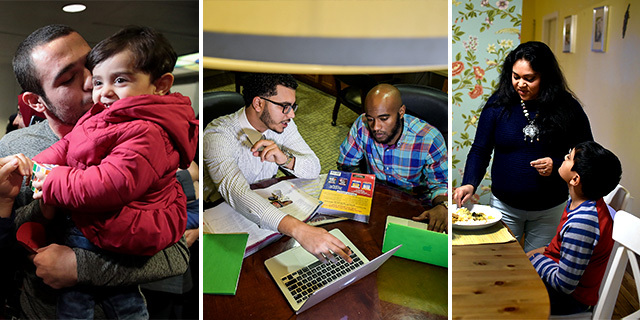 Many live and work in the country after receiving lawful permanent residence (also known as a green card), while others receive temporary visas available to students and workers. 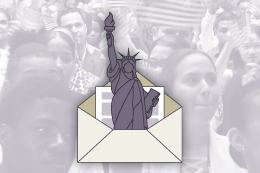 In addition, roughly 1 million unauthorized immigrants have temporary permission to live and work in the U.S. through the Deferred Action for Childhood Arrivals and Temporary Protected Status programs. 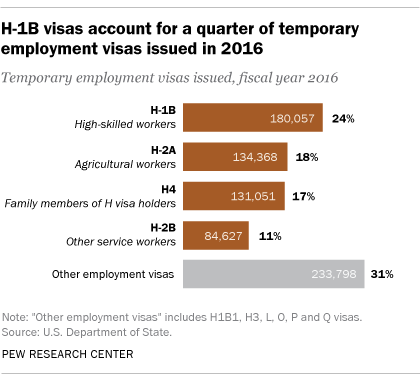 Correction: A previous version of the chart “H-1B visas account for a quarter of temporary employment visas issued in 2016” misstated the source of the data. 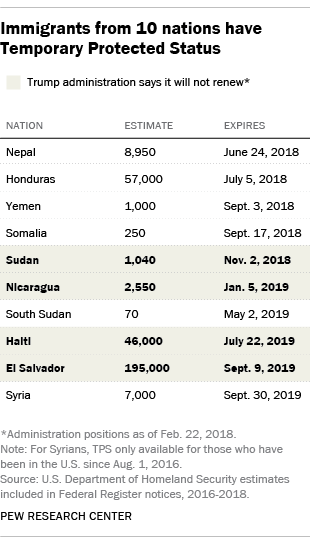 It was updated on March 19, 2018, to credit the U.S. Department of State.